The home is a hostess’s sanctuary. While many parties are memorable in locations other than the home, there is something special about sharing your sacred place with others. When we invite people into our homes, we are showing them our personality through our actions, our home’s appearance, and our attitude. But what do we do when parties don’t go as we planned? Several years ago, my husband and I hosted an engagement shower for my brother and his fiance in our backyard. We hung Edison light bulbs and mason jars with tealights in the trees. Crisp white linens, burlap, and baby’s breath lined a table set up under the stars, and a picnic table was filled with a down-home spread of barbecue, beans, and hashbrown casserole. At the last minute, we had to move the party indoors. I’d like to say that I was the perfect hostess just going with the flow, but I was the exact opposite. I didn’t want everyone inside of my home because it was not completely furnished. I felt the need to apologize for mismatched chairs and messing mirrors. I let my idea of perfection get in the way of enjoying the party. 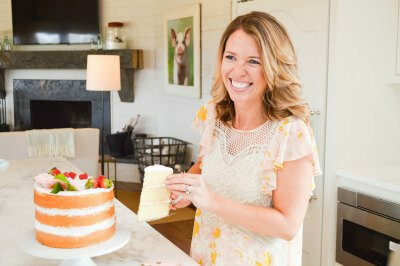 Do you ever struggle with perfection when it comes to planning a party too? The hostesses who are the happiest in life understand that the art of entertaining is not about what they are hosting but how they host. 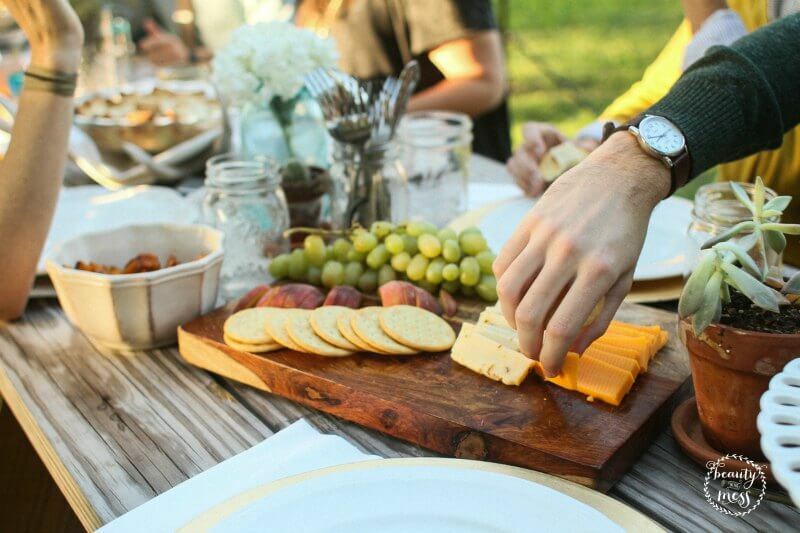 Celebrations, whether they be special occasions, a surprise party, or a spontaneous cookout on a Saturday night, is about spending time with the people you love. 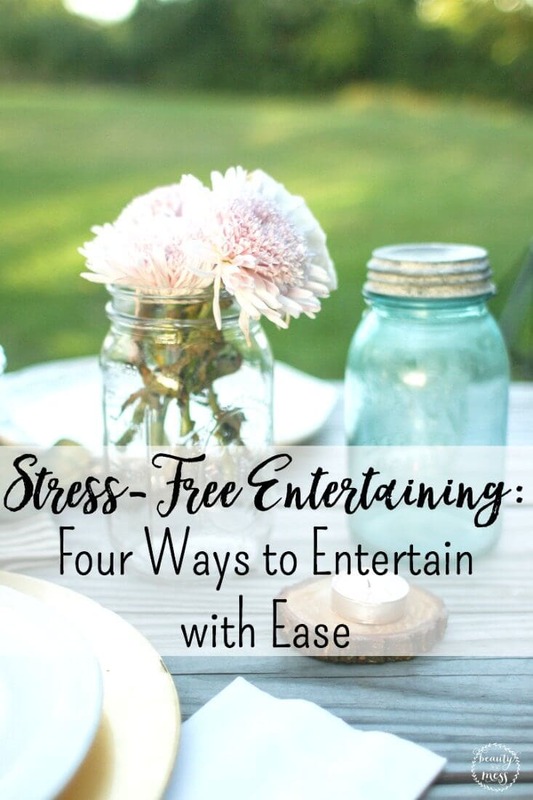 While there are certain rules that are timeless, tried, and true for entertaining, there are other moments that require “planned spontaneity,” a go-with-the-flow kind of attitude. In New Manners for New Times, Letitia Baldrige (a world-famous expert on manners who served as chief of staff for Jacqueline Kennedy in the White House) says that hostesses who understand how to apply social graces to spontaneous events are better prepared to deal with stressful situations and, in return, are able to enjoy the party they are hosting. [i] Boy, do I wish that I didn’t have to learn this lesson the hard way! A hostess who is sincere looks directly into the eyes of her guests, making each feel like the most important person in the room. There are no false pretenses or any efforts for self-promotion, just true engagement and interest in the life of another human being. Not only are we sincere during the conversation, but true sincerity follows up afterward, checking in on the guest weeks after the party. Sincerity is not selfish. There is beauty in simplicity. Simplicity is the statement piece of a party, and the byproduct of a life well lived. The basic rules of achieving simplicity are, well, simple: identify the essential, eliminate the rest. As a hostess, we can ask ourselves, “How can I simplify the decorations, the food preparation, the mailing of invitations – but not eliminate the beauty?” Simplicity is sophistication and very, very intentional. Serenity might be the last attribute listed, but it’s one of the most important. A hostess who is unhappy over the unplanned and uncomfortable moments of party planning sets the mood for the whole party. Serenity is a unified state of the mind, heart, and soul. Even if disaster strikes, serenity is a deliberate action of calming ourselves from within so that we don’t make or break a party. If entertaining is art, then it is an expression of our own skill and imagination produced in a way to be appreciated by others. 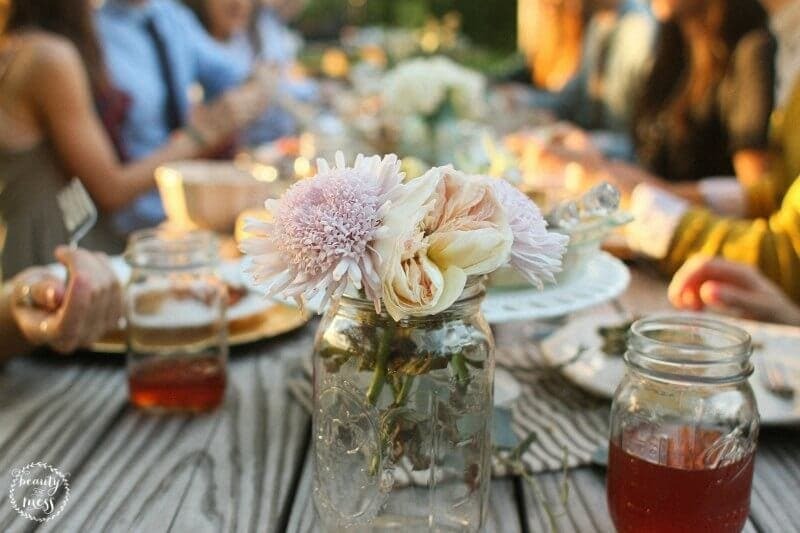 There is beauty to be found in the party, from flowers to linens, to mismatched serving platters filled with delicacies and conversations that stretch well into the evening. To entertain in a matter of sincerity, simplicity, sympathy, and serenity is to entertain beautifully. How lovely is that? After we moved the party inside our home, I realized that the guests were not there for me or my house. Really, everyone who attended the party were there to celebrate my brother and his soon to be wife. Nobody cared that my dining room didn’t have curtains or that my brother opened his gifts in a pink rocking chair brought in from the nursery. The party was about connection, not perfection. The antidote to perfection is when we can see beauty in the imperfect and we present not only ourselves but our homes in an artful way. Now, whenever I host parties in my home, I try to let the 4 S’s direct how I host instead of allowing the imperfections of my home distract me from the purpose of our gatherings. If you struggle with opening your home to others too, I encourage you to let the toys stay stacked in the corner of your living room. It’s okay to have a few dishes piled in the sink when your guests arrive. Instead of focusing on the flaws of your home and all the things you wish to fix, accept any compliments that come your way. Don’t be your own worst critic. Give yourself grace. If beauty is in the eye of the beholder, believe that you and your home are, in fact, beautiful. If a party is truly about connection and not perfection, we will radiate beauty while entertaining instead of being distracted by all the fluff. We worry less and go with the flow more. We sit at tables on back porches or perch on kitchen counters with plates piled high with food and glasses brimming with beverage, and we enjoy doing life with the people we love. We have better conversations, laugh more, and don’t want to leave. We open not only our homes but ourselves, giving and blessing and receiving so much joy in return. If you crave connection instead of perfection as a hostess, then sign up for Christen’s Connection Challenge. For five days, you’ll receive advice on how to get over your hospitality fears and simple ways to invite friends into your home. Sign up today, we’ve saved a seat for you! Christen Price. 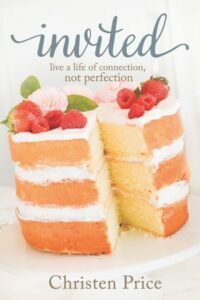 This post includes excerpts from Invited: Live a Life of Connection, not Perfection. Used with permission. Overcome the hurdles of perfection by finding balance instead of breaking down. Receive others in love by releasing your anxieties to God so you can rejoice in the moments worth celebrating. Discover that the antidote to perfection is embracing the beauty of imperfection and present not only yourself, but your home in an artful way so you can give and receive joy. Christen Price is a writer for The M.O.M. Initiative and founder of Undivided Women, an online Bible study community. 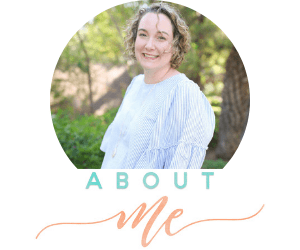 With the heart of a hostess, she writes devotionals, designs party printables, and creates inspirational art in her Studio that invites women to celebrate their people, place, and purpose. 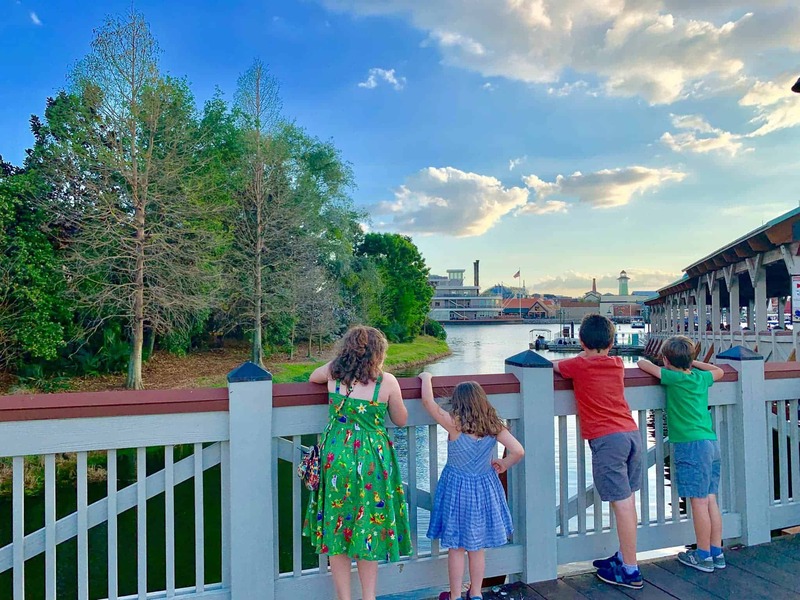 Christen is married to her best friend, Raleigh, and their crew of three little ones, two dogs, and four chickens call the countryside of lower Alabama home. Connect with her at christenprice.com. [i] Letitia Baldrige, Letitia Baldrige’s New Manners for New Times: a complete guide to etiquette (New York: Scribner, 2016), 405-407. Thank you so much for hosting me today on your site!